LONDON -- Shares in UK car dealership Pendragon tumbled as much as 23 percent on Monday after it warned on full-year profit, blaming a fall in demand for new cars and a consequent price correction in the used car market. Pendragon, which trades as Evans Halshaw and Stratstone in Britain, said it expected the new-car market to continue to decline this year and the first half of 2018 as manufacturers continued to adjust to the reduced level of demand. Earlier this month, industry data showed British new-car registrations fell 3.9 percent through September to 2.06 million, making it highly likely that sales this year will be down for the first time since 2011. Pendragon said it now expected a pretax profit of 60 million pounds ($79 million) in 2017 versus previous market expectations of 75.2 million pounds, according to Reuters data, and 75.4 million pounds made in 2016. "During the quarter (to Sept. 30) as consumer confidence waned we experienced significant market pressure," it said, adding it expected to return to profit growth in 2018. The number of profit warnings by British companies jumped to 75 in the third quarter, the biggest quarterly rise in almost six years as economic pressures weighed on retailers and support service companies, business services group EY said. Pendragon also said Chairman Mel Egglenton has stepped down for personal reasons, with immediate effect, and has been replaced by Chris Chambers, a non-executive director since 2013. Following a strategic review, the firm says it will place its software and online technologies at the center of the business. The company also remains committed to doubling its used car revenue over the five years to 2021 but will further review its new-car operations to evaluate which franchises would bring the strongest returns. Pendragon said it will not make any further acquisitions in the United States and will assess the ongoing value of the U.S. business to the group. Pendragon's like-for-like revenue grew by 3.7 percent in the three months to Sept. 30, while underlying like-for-like pretax profit broke even. The company's shares were down 19 percent at 23.75 pence at 09:52 CET, valuing the business at 335 million pounds. 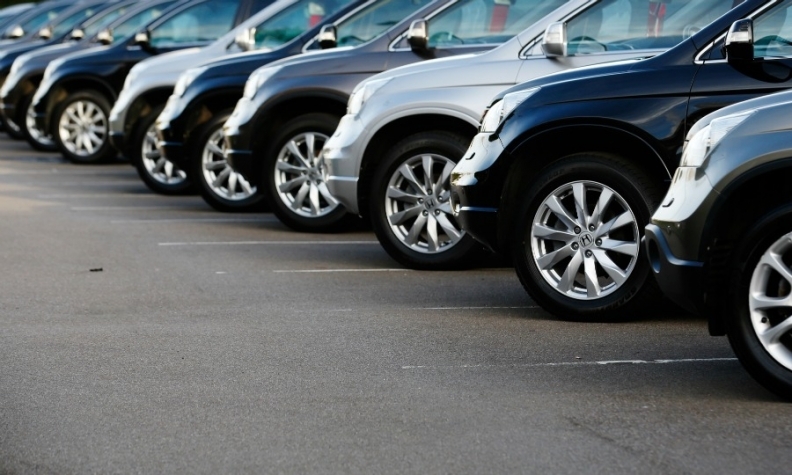 Shares in rival car dealerships Inchcape and Lookers were down 4.1 and 3.5 percent respectively.